Hello! How is everyone doing? Did you watch the Grammy Awards Show? What are you thoughts? I particularly enjoyed the red carpet which I tweeted about. The styles were interesting and I was surprised to see Rihanna’s dressing which was different from her prior styles. I loved her Azzedine Alaia dress and the whole look reminded me of her "Pon De Replay" era. In addition to Rihanna’s some of my favorite outfits at the show were Kelly Rowland’s, Beyonce’s, Solange Knowles’ and Chrissy Teigen’s. What were your favorite red carpet outfits? The outfit in this post is not a maternity outfit. It is a floral pant and top from H &M and I went a size up to accomodate my growing bump. I am longing for spring weather and the floral print is subtle which gives me a transit feeling from the fall weather to a spring like one. The black trimmings on the edges stand out while complementing the floral prints. I completed the look with one of my favorite black pumps. Very nice! I m crazy about your shoes! Always so stylish Stella.... Even better with your belly. I love it. floral on floral perfection love the entire look and ofcourse those beautiful shoes !!! 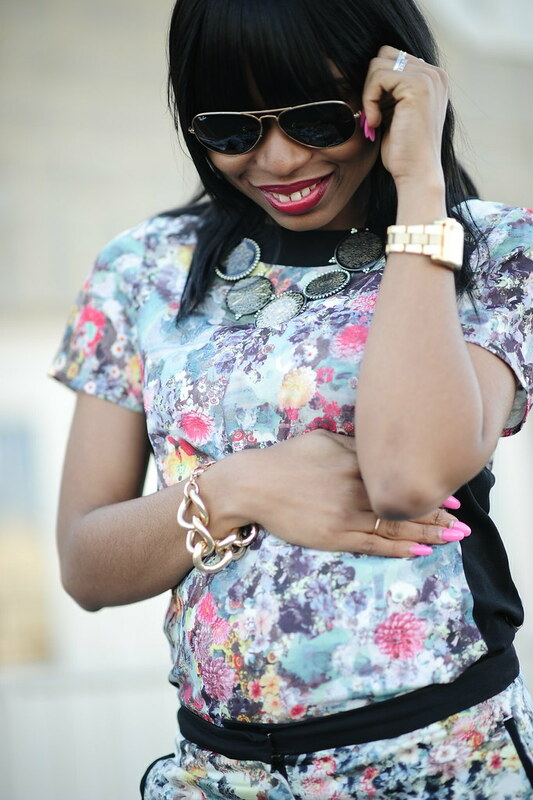 Love the prints on prints...you look lovely as always! Lovely Stella, this outfit make me a big wish of spring! You are very beautiful, sorry for my bad english! Kisses from Sonia! This is one of your best outfits so far!! I love love love floral prints!! You are so stylish !!!! I just discover your blog and I love it !!! What about follow each other if you like mine too ?? :-)Today my Post is on Mangano, a brand I love !!! I wait you :-D Kiss from Italy ! That´s an absolute amazing look, I love this floral designs with the black heels! perfect look! you look so stunning! 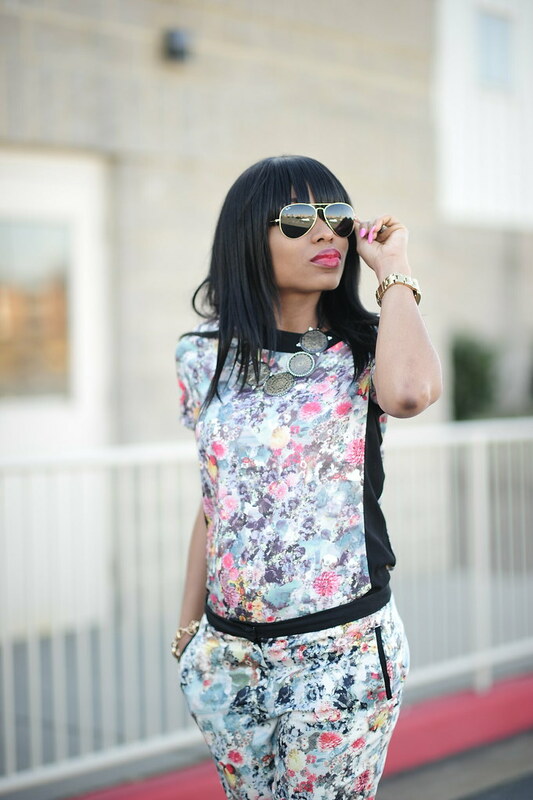 Great florals, you look amazing! This reminds me of Prabal Gurung's line at target. Very cute and your #glowing!!!! Wow!!! really cool jumpsuit. you look fab! It's amazing, floral never goes out of style. Excited to see the floral prints this spring.